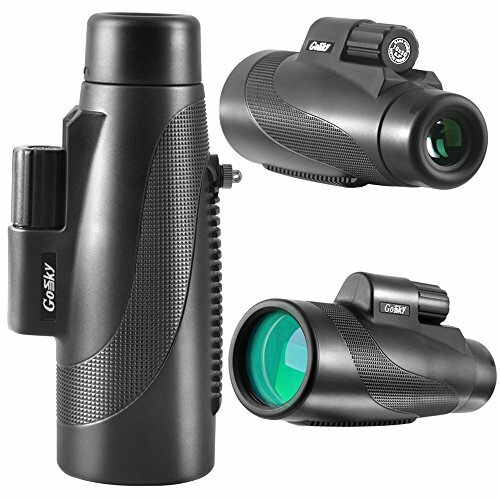 1.The monocular features 10X50 magnification. 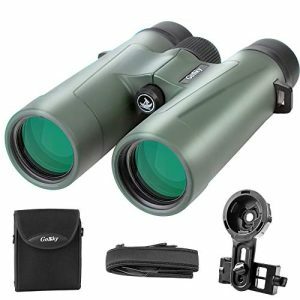 The 10X power magnification ensures the best view in your outdoor adventures. 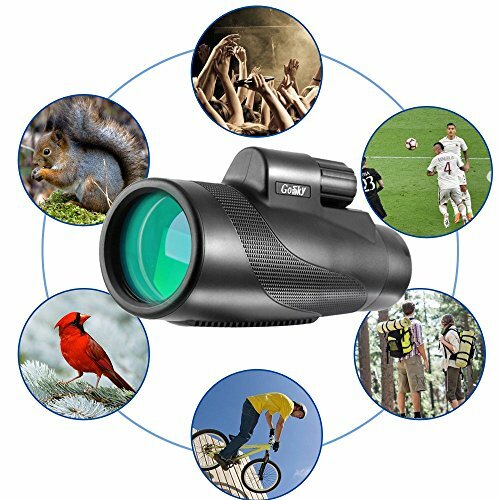 see 10X closer with a clear and bright image with The 50mm FMC green film objective lens allows more light transmission and brightness. 2. 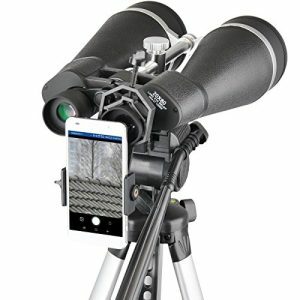 Comes with a smartphone holder. 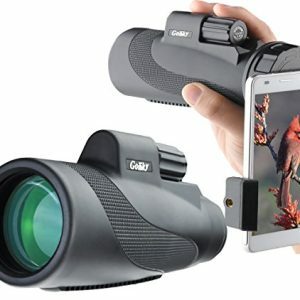 You can take photos and videos with your smartphone. Record and share your happiness with others. 3. 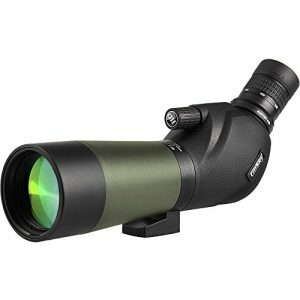 Large BAK-4 Prism inside, fully Multi-coated Green Objective Lens Coating and coated blue eyepiece – Strengthen the key function of a monocular, make your view brighter, clearer and delivers crisp images. 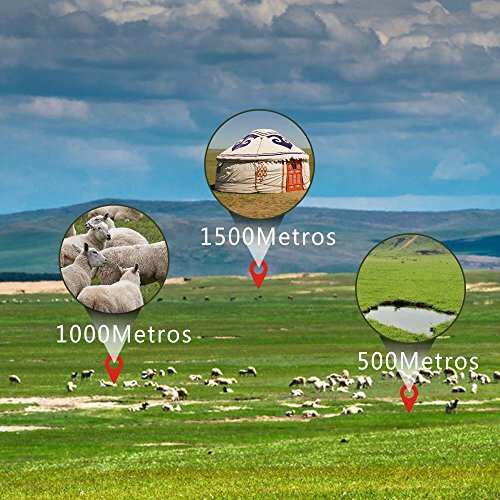 4.Solid Framework – Its tight fitting protection makes it usable to withstand the toughest weather conditions. 5.Rubber Armor with Stripes -The rubber armor with stripes makes it comfortable for use and keeps it from slipping out from your hand. 6.Waterproof, dust-proof, and shockproof design – Sealed with O-rings to prevent moisture, dust, and debris from getting inside the monocular. 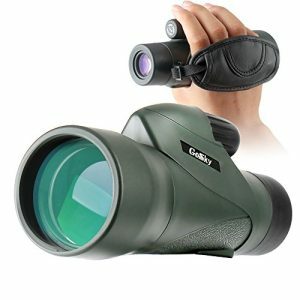 7.Use with or without glasses – Adjustable eye-cups twists up and down for comfortable viewing with or without eyeglasses. 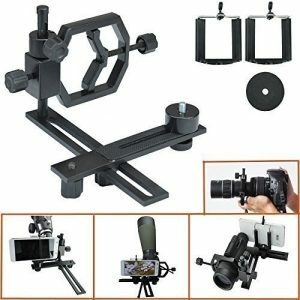 8.On the base of the monocular there is a tripod mount threads that fits all standard tripods. 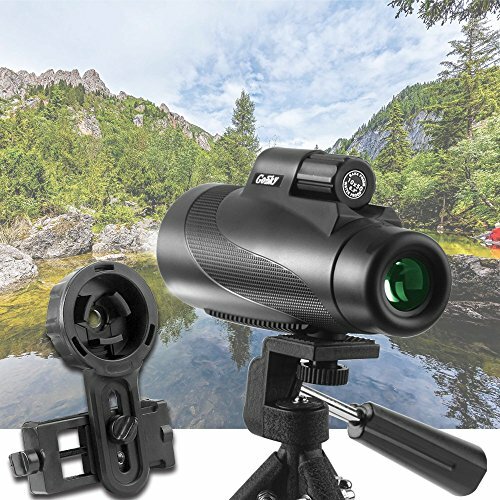 Solid Framework and shock-absorbing Rubber Armor with Stripes -Its tight fitting protection makes it usable to withstand the toughest weather conditions. And The rubber armor with stripes makes it comfortable for use and keeps it from slipping out from your hand. 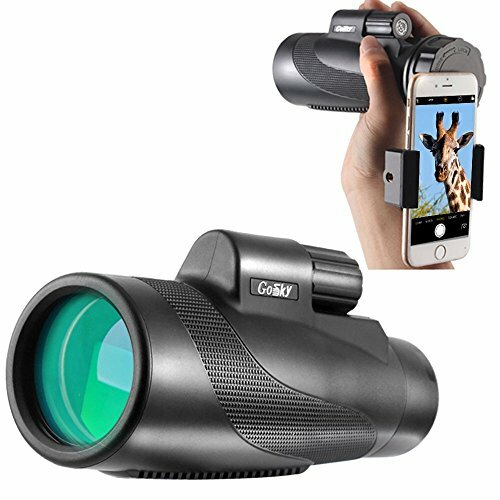 Waterproof, Dust-proof, and Shockproof Design: Nitrogen-filled waterproof and O-ring sealed optics prevent moisture, dust and debris and ensures the living waterproof function. 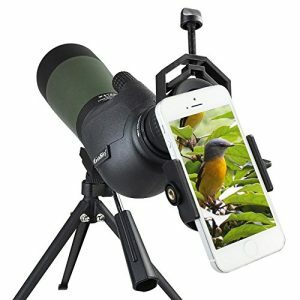 Specially designed for Bird Watching, Sightseeing, Shooting and Star Gazing. 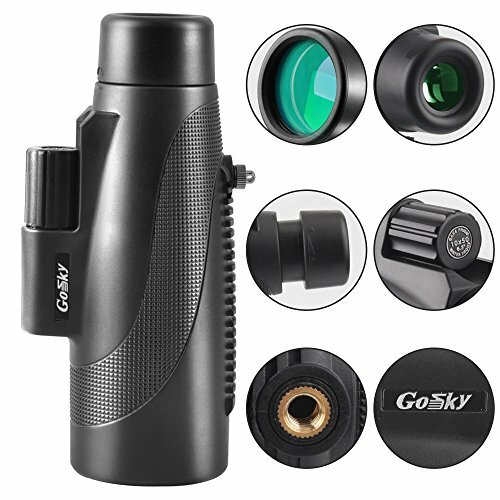 OUTSTANDING OPTICS – Large Bak-4 Roof Prisms and fully Multi-coated 80mm large lens – guarentee the key elements of an optical device, and make your view brighter, clearer and delivers crisp images. 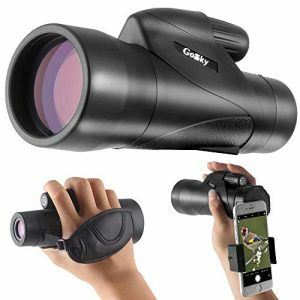 EXTREMELY LARGE AND COMFORTABLE VIEW – Not like spotting scopes or telescopes, just look through the binoculars with you two eagle eyes open.